When Christine Pobke received a camera as a Christmas gift from her husband, she never imagined it would lead to a new favourite hobby — much less a career. 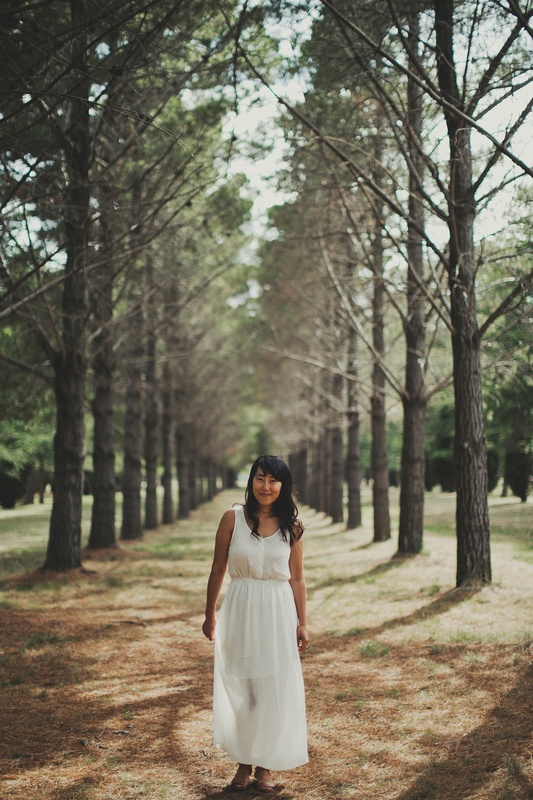 Today Christine runs a successful photography business from her Canberra home. Shooting a combination of digital and instax images, she delights clients and followers all around the globe. Recently, we enjoyed an opportunity to sit down with this instax photographer, blogger and all-around cool lady to chat about her work, her inspiration and the importance of following your passion. Photography became a creative outlet for me when I was working on a PhD in politics. My husband gave me a little DSLR for Christmas. We did this great ocean road road trip, I started photographing things and I fell in love straightaway. Then, I started photographing a few families — colleagues of mine, and their kids. I kind of thought, "Oh, well, my PhD is starting in February. I'm just going to use this as my creative weekend activity to get away from all the academia and the typing and all that stuff." But, by April, I had fully launched my business. And by the following September, I decided to quit my PhD program and become a photographer full-time. How did you pick up instax? 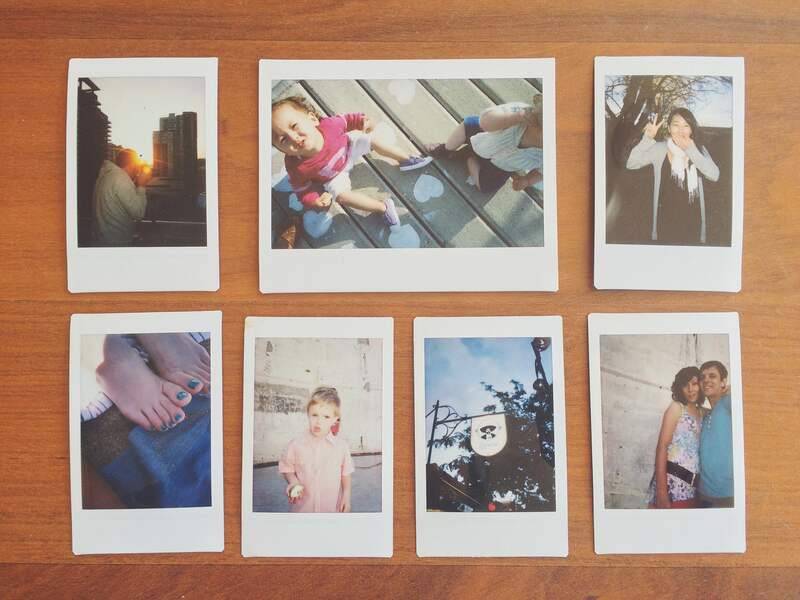 How did you get involved with instant photography? When I was younger, film was the only form of photography. I’ve always really enjoyed shooting film. I called a good friend of mine who was teaching a film photography class in the U.S., and said, "You should come out to Australia, and come to Canberra. I'm sure there'd be heaps of interest." I hosted him here and, sure enough, it was great. We chatted about film photography non-stop. It was just really inspiring, and quite a special time. I started buying old film cameras, and medium format cameras. Around that time, the instax came out, and then the instax WIDE. I got my hands on both of them and started shooting. It’s a fun addition to my shoots — it’s a hit with kids, and especially with my wedding clients. 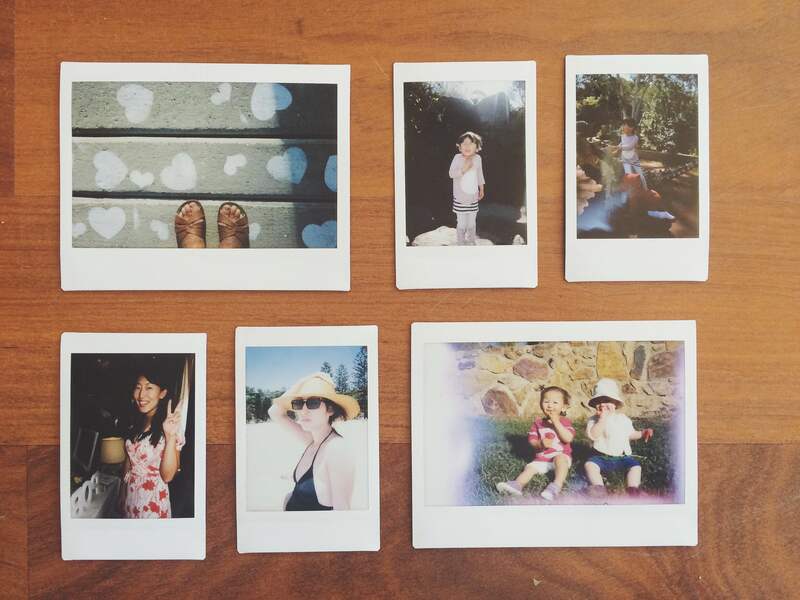 What are some of your favorite things about shooting with instax? I love photographing kids. Sometimes I'll say, "Okay, for the next 10 minutes I'm shooting with my instax and seeing what comes of this." I know I've got 10 shots, or nine if I make a mistake. I have to be really cautious of what it is that I'm shooting, and be more aware and conscientious of how I'm shooting. It's an art form in and of itself. There's a cool look that instax gives you and, the best part is, you don't have to sit there and edit everything afterwards. I can just scan the images into my computer, and then I might use them in my album layouts. Using instax in my shoots makes it a little bit more interesting. What is your biggest artistic inspiration? People often want to know which photographers inspire me. To be honest, I wouldn't say that I look online at other people's blogs to keep up with industry trends. I find inspiration in things outside of photography. Oftentimes, when I watch a movie, I'll pause it because I think, "Oh my gosh. That shot is so beautiful." Live action movies still follow all the rules of photography, like the rule of thirds, using negative space and the way they decide to shoot with the depth-of-field. Also, being in Canberra, we're really spoiled with a lot of museums and exhibits. We're the nation's capital, so there are tons of free exhibits and galleries. I stay at home with my kids three days a week, and we like to go check out new sculpture exhibits. Those are inspiring. Lastly, my kids inspire me. My daughter is three, and she's getting into photography. I'm planning on giving her an instax for Christmas. So far she practices on my iPhone, and it's just amazing. We'll be walking along and she'll say "Mommy, that cloud looks so beautiful. I need to take a picture of it." Looking at things from her perspective is magical. What are some of your favorite projects that you've done? Why are they your favorite? My favorite to-date is a project I did with my husband, who is a writer, before we had kids. We backpacked around Vietnam for a month. We decided he would spend the month writing about our experiences, I would photograph everything on film and neither of us could see what the other was doing. At the end, we put a book together. For the whole month that we were in Vietnam, I documented everything. My husband would reflect and write when we stopped at coffee shops, or when he was up early in the morning. When we got back, we had a good friend of mine put together a book for us, and we published it through Blurb. We called it “Vietnam Film Plus Words,” and printed 20 coffee table books to give to our friends and family for Christmas. 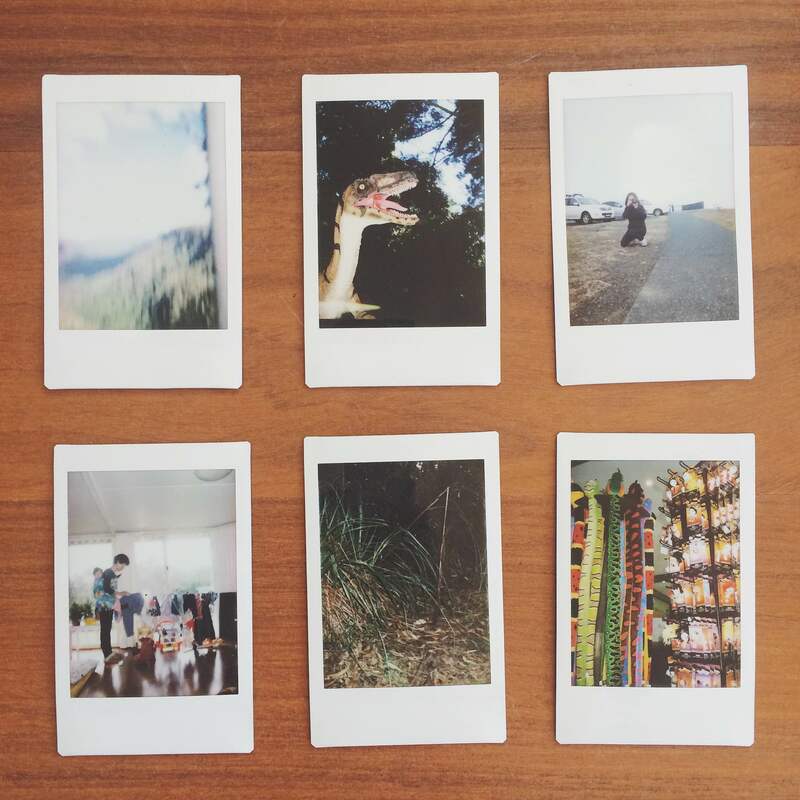 If you could go anywhere in the world and shoot with your instax, where would you go and why? Right now, it's a big craze for photographers to go to Iceland and, seeing their photos, I can totally understand why. Iceland looks amazing. But, if I could go anywhere, it would probably be North Korea. I did my Masters in political science, and I looked at human security and refugees in North Korea. It's a place that's always fascinated me, especially as a Korean-American-Australian. I would love to see what it's like on the ground. That political landscape has always fascinated me. If I got to shoot what I wanted to shoot and see what I wanted to see, how amazing would that be? What is one piece of advice that you would give new photographers? There's so much advice I would love to give, but I’ll just stick with two things. The first thing is I would say is: be nice. That niceness goes beyond your clients. It goes to colleagues, mentors and anyone in or outside your industry. Niceness is a quality that is often underrated. You never know how one interaction with another person could lead to a big job, or a connection in the future that might benefit both of you mutually. The second piece of advice is: be giving. Don't think about what people can do for you. Just do things from the heart. Early on in my business, I was really into networking. When I first set up my business, I Googled all the camera photographers here. I wrote to them and said, "Hi. I know that this job can be quite isolating. I’m new on the block and I thought maybe you might want to catch up for coffee." Not a single person wrote me back, but they're all my friends now. After we became friends, they all made fun of me and joked about it. But I think, having done that, it put their guard down a little bit. When someone comes to you in a non-threatening way and genuinely wants to be nice, I think there's only one way to respond to that. Being nice and being giving will take you a long way. For Christine, all it took was practice, patience and the right camera. Find what you need to follow your passion! Choose your favourite instax and locate a retailer near you.